A 13.2 channel AV preamplifier processor without compromise. 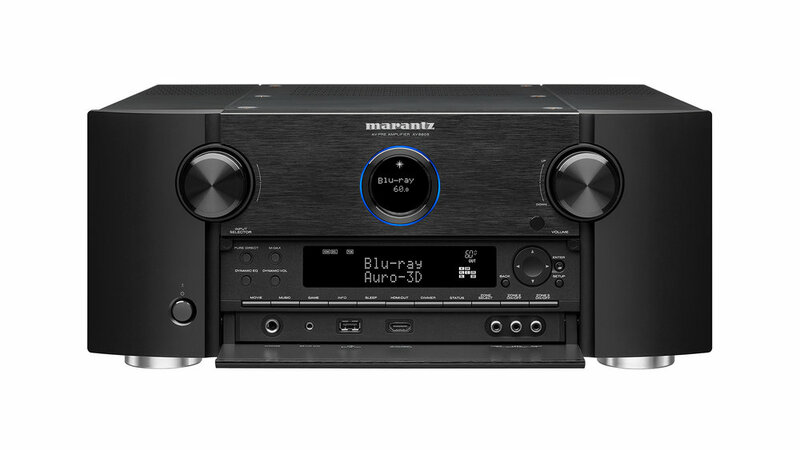 The Marantz AV8805 redefines audiophile home theater and music listening. 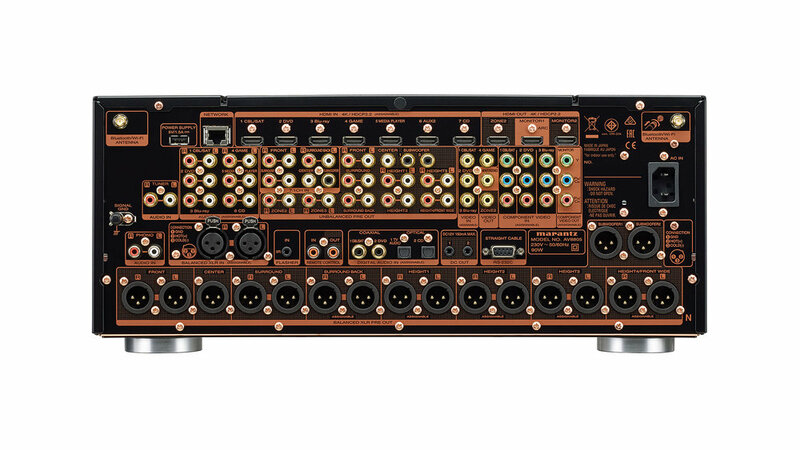 The versatile Marantz AV8805 AV surround processor, available in Winnipeg at Creative Audio, redefines audiophile home cinema and music listening with an unprecedented 13.2 channel processing capability, and supports virtually any high-resolution multichannel audio format. Immerse yourself in three-dimensional audio with the latest surround formats like Dolby Atmos, DTS:X or Auro-3D. Enjoy enhanced audio quality supported by our proprietary current feedback and HDAM technology that passes signals through 15.2 channel XLR or 15.2 RCA outputs. Stream music throughout your home with HEOS multi-room listening and full wireless connectivity through the HEOS app or Amazon Alexa Voice Control, supported by Wi-Fi, Bluetooth and Apple Airplay. With the Marantz AV8805, you get incredible fidelity and unparalleled audio precision. The 13.2 channel Marantz AV8805 with 15.2 channel XLR and RCA outputs provide a flexible yet detailed pre-amplifier stage for the advanced home cinema enthusiast. Enjoy it with acoustically matching Marantz MM series power amplifiers, like the MM8077, and immerse yourself in three-dimensional audio provided by the latest integrated surround formats, including Dolby Atmos, DTS:X and Auro-3D. Auro-3D will be enabled via a future firmware update at no additional charge. Marantz proprietary HDAM technology combines matched-precision discrete circuit elements with ultra-wide-end response for a wider soundstage and refined musical reproduction while built-in Bluetooth, Wi-Fi streaming and HEOS support, plus Apple AirPlay compatibility, let you stream and enjoy your favourite audio wirelessly. 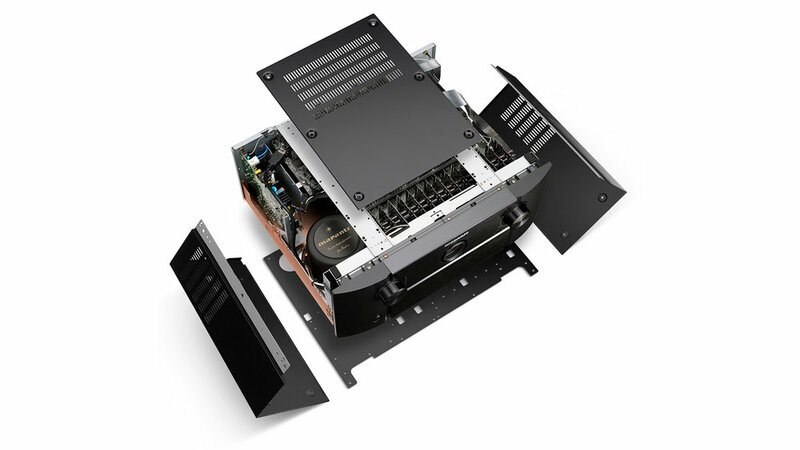 Are you interested in the Marantz AV8805? Thank you for your interest in the Marantz AV8805! One of our team will be in touch with you very soon.